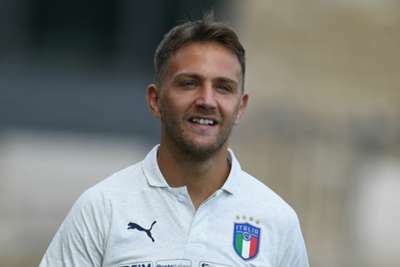 Italy defender Domenico Criscito says he crossed the Ponte Morandi Bridge in Genoa 10 minutes before it collapsed, with dozens of people feared to have died. Deputy prime minister Matteo Salvini has confirmed around 30 people were killed when one of the bridge's supporting towers collapsed in torrential rain on Tuesday but the death toll is expected to rise. Criscito, who returned to Genoa from Zenit in May, says he was travelling over the bridge shortly before its collapse and called on action to be taken to prevent similar accidents in the future. "I'm writing this message for all of those writing me worried about me and my family: we are all well, even if we crossed that bridge exactly 10 minutes before it collapsed," Criscito posted on Instagram. "I'm close to all the victims' families. It's not possible that a motorway bridge can collapse like this. IT'S NOT POSSIBLE! "We have to do something for this country. People are leaving [the country] because of things like this. "We need safety, we need for someone to do something, this is disgusting!!!" Genoa cancelled a scheduled training session on Tuesday following the incident.